When only the best will do, Fire Magic offers the Echelon Diamond series, combining the ultimate in performance, beauty and innovation. 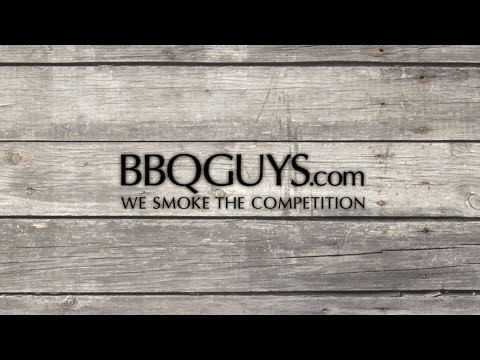 Crafting American-made premium grills for over 75 years, Fire Magic is dedicated to providing their customers with a quality outdoor cooking experience. This Fire Magic Echelon Gas Grill features 304 stainless steel construction for lasting quality, and modern styling with a sleek, contoured control panel. It comes with a spring-assisted, double-walled tear-drop hood, a removable warming rack, a 12V electric hot surface ignition with flash tube back-up and a 12 inch deep firebox for complete convection cooking. The three main cast stainless steel E burners produce a total of 78,000 BTUs on the grilling surface, and the Diamond Sear cooking grids provide an ample 660 square inches of grilling area. This grill also features a 11,000 BTU stainless steel Quantum rotisserie burner with kit, which heats up quicker than other rotisserie burners and is designed to direct heat only to the food and not the rest of the grill. The grill also comes with a stainless steel charcoal/smoker basket for adding wood-fired flavor to your food.The heat zone separators allow you to cook at different temperatures across the grilling surface, while the integrated premium digital thermometer lets you monitor the temperature of each cooking zone. The thermometer also includes a meat probe, timer and alarms that can set for cooking zone temperature and food temperature. The angled 12V halogen oven lights and back-lit knobs make cooking at night simple and fun. This grill also features rear storage for your rotisserie kit and warming rack when not in use. Cleaning the grill is easy with the included grid lifter and the disposable drip pan collection system that is designed to prevent grease pan flare-ups. This grill comes assembled on a stainless steel cart with dual storage doors, dual storage drawers and two fold down solid shelves with towel bars. The cart includes a 15,000 BTU single side burner flush mounted on one of the shelves. Also included on the cart is a folding multi-tool holder, folding paper towel holder, propane cylinder tray with latch, and four locking casters. 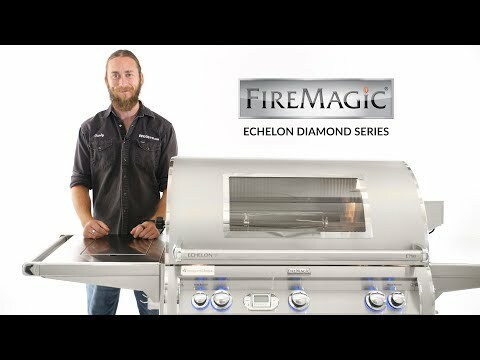 The Echelon Diamond requires a 110V power source to work properly and a wiring harness protects wiring from the heat of the grill. 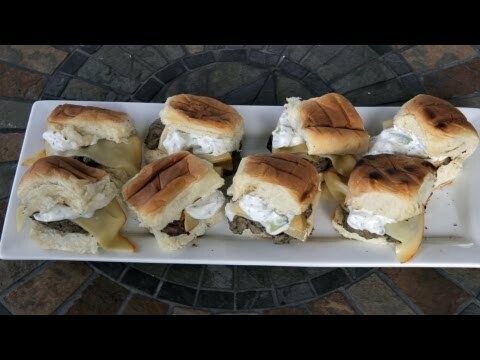 Each Echelon Diamond grill comes with a getting started DVD to make using your grill easy and fun. 30 X 22" 32 1/4 X 20 1/4" 32 1/4 X 20 1/4" 27 X 21"